Pioneers in the industry, we offer fixed side rectangular type support unit from India. Product Description Ball screw support unit fabricated by us are precision engineered ability bearings. These ball bearing are designed with polyamide cages and so that bearing stiffness is greater than the conventional bearing. 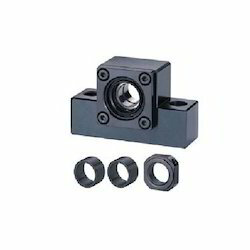 Our bearing is supplied with a pre-set preload so complicated adjustment and measurements are removed.